air conditioner | Odd Job Handyman Services, Inc.
As the temperature rises, more and more people are turning on their air conditioners. Toronto Hydro warns that careless use can amount to fully half of your summer electricity bill – a figure that isn’t so alarming considering that heating and cooling together account for roughly half of the average homeowner’s annual energy bill. It’s the middle of July, though – and it’s only going to get hotter. How can you and your family live comfortably while looking out for mother nature and your pocketbook too? 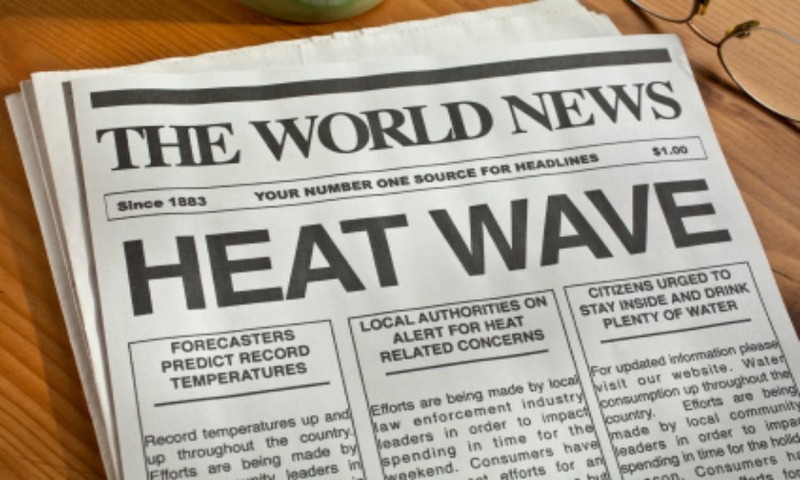 During a heatwave, most people are aware that one of the more frugal ways to cool your home is to open your windows at night and keep them closed throughout the day. This (of course) reduces the amount of heat residing within your home. 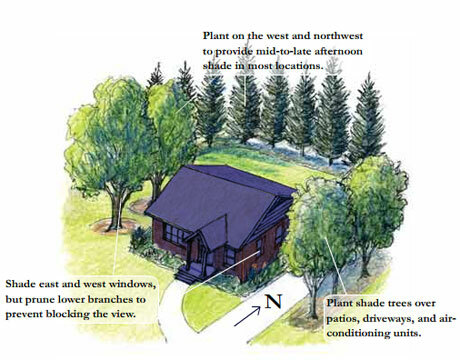 (1) Plant trees around your home in order to shield it from direct sunlight. When planted strategically, the trees serve as a natural air conditioning system. In 2009, Geoffrey Donovan of the U.S. Department of Agriculture’s Forest Service and David Butry of the National Institute of Standards and Technology published a report entitled The value of shade: Estimating the effect of urban trees on summertime electricity use. This is especially true for those whose air conditioners sit in direct sunlight, an arrangement that predictably causes the unit to use up to 10% more electricity. Planting trees or shrubs around them will help – just make sure not to completely surround it, as that will block the airflow! While all of this sounds lovely, planting a tree and watching it grow is a long and involved process. No one is going to be able to construct their tree defenses in time for this year’s heatwave, and many won’t be eager to place their faith in such a long-term solution. Tree Hugger, a leading environmental blog, has helped to solve part of this problem by releasing a great list of seven fast-growing shade trees. Homeowners looking for faster countermeasures may find them in placing trellises around their home and growing vines on them. They grow much faster than trees, and if given a year should be able to cover a large area. Some of them can even double as a source of highly nutritious fruits and vegetables. 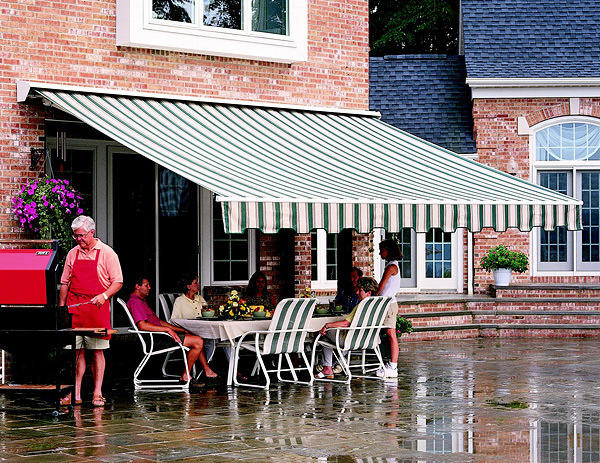 Another great component of any shade wall is the window awning. Often made of fabric or metal, these are among the most effective defenses against direct sunlight. Just be sure to put your awnings in storage during the colder parts of the year, as they’ll block the sun’s warmth when you need it most! While your unit is in use, the filter is inevitably going to collect dirt; the exact amount depends on factors such as air quality and how often it is used. The reduced air flow that results can eventually cause components of your air conditioning system to overheat (requiring expensive repairs) and culminate in the unit failing altogether. 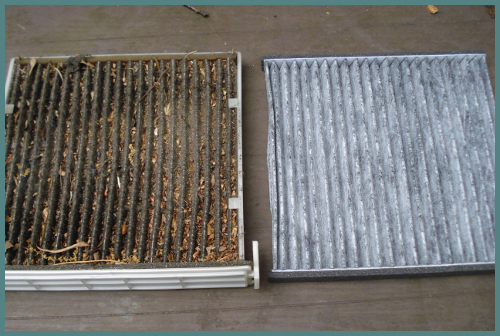 Dirty filters are one of the main causes of air conditioner malfunctions. If your unit’s air filter collects an excessive amount of dirt, many different problems will arise. If the filter is dirty, everything past it is too; this includes the cooling coils and the fans, which will work far less efficiently as a result. This forces the unit itself to expend much more energy to cool your house, and the air it creates is filled with allergens. You end up paying more money for less comfort, and potentially compromising the health of the home’s occupants as well. The solution? Your unit’s filter should be changed regularly – at least once every three months and, during heavy use periods such as summer, every month. Routinely changing your air filter is one of a few things you can do to maintain your air conditioning system. One is to keep your central or window air conditioning unit tuned up so as to ensure that it is always operating with maximum efficiency, and another is to have a specialist examine its electrical parts and refrigerant every two or three years. This will only cost around $150, but much like changing the filter, it will save you much more than it will cost you. If your unit is more than twelve years old, then it may be time to replace the system altogether. This alone can drastically reduce your energy bill. According to the Department of Energy, the finest air conditioner of today uses an alarming “30 to 50% less energy” to produce precisely the same amount of cooling as any unit made in the seventies and “20 to 40%” less energy than a unit that’s only 10 years old! The potential ways of cutting your cooling costs don’t end with your air conditioner unit. There may well be gaps in your house system that are hurting your wallet. Remember: the key is to minimize the amount of heat entering your home. We have detailed how homeowners can mount an external defense by growing trees and vines, so let us take a step back and examine some of the possible internal issues. Almost half of your home’s summertime heat gain can naturally be attributed to your windows, miniature gateways through which direct sunlight enters virtually by invitation. Not only should they be closed during these hot summer days, but they should be provided with as much shade as possible. Hanging some draperies should do the trick; their pleats and folds actually lose heat through convection. According to the Department of Energy, draperies can have a very powerful effect: “Studies demonstrate that medium-colored draperies with white-plastic backings can reduce heat gains by 33%.” They go on to say that “highly reflective blinds can reduce heat gain by around 45%.” When fortifying your internal defenses, window treatments are a great place to start. Let’s not get ahead of ourselves, though. All of that will do little good if heat is seeping in through holes in your home itself. Air leaks can cause you to spend up to 40% more on heating and cooling, and most of them are so small that they are virtually invisible. To locate them, turn off all fans and exhaust fans in your home, close all of the windows, and turn off your furnace. After you have done this, light some incense and slowly walk through the home while holding it close to the walls. Wherever you see the smoke being either sucked toward or blown away from something, you have located a likely air leak. 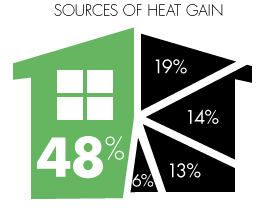 For windows, doors and other movable parts of your house, apply weatherstripping. Apply caulk for those tiny cracks in the structure itself and its other components. More difficult to fix are the thermal leaks. These are virtually (and sometimes literally) invisible. When they are not caused by the aforementioned air leaks, they’re caused by poor insulation or other problems out of the human eye’s reach. Identifying the problem at the root of the leaks can only come after you identify where they are. Using a handheld, battery-operated thermal leak detector, you’ll be able to pinpoint parts of the home that are warmer or colder than the rest of the structure. Let’s presume that you’ve already provided your home with layers upon layers of external and internal protection – shade trees, draperies, the works! Let’s also presume that you’ve mended the holes in your defenses. Why not install a programmable thermostat? Using this machine, you’ll be able to automate your cooling system to use far less energy when you’re at work or on vacation. Proper use can reduce your energy bill by up to 20%. We hope you’ve found these tips helpful in your efforts to beat the heat effectively and frugally. Many readers may be left wondering how to properly execute many of the suggestions laid out here. Not everyone feels confident sealing air leaks, hanging window treatments, or examining their own air conditioning system, and there’s no shame in that. Why attempt sometimes difficult and potentially dangerous tasks such as those when you can hire licensed, bonded, insured and well-trained professionals to do them for you at very affordable rates? This is where Odd Job Handyman Services, Toronto’s premier handyman company, comes in. Call us today or just fill our our online “book-a-handyman” form, and in no time your projects will be placed in professional hands, whatever their size!